A TEENAGER’S elaborate trick with a lit cigarette goes painfully wrong in a hilarious video. 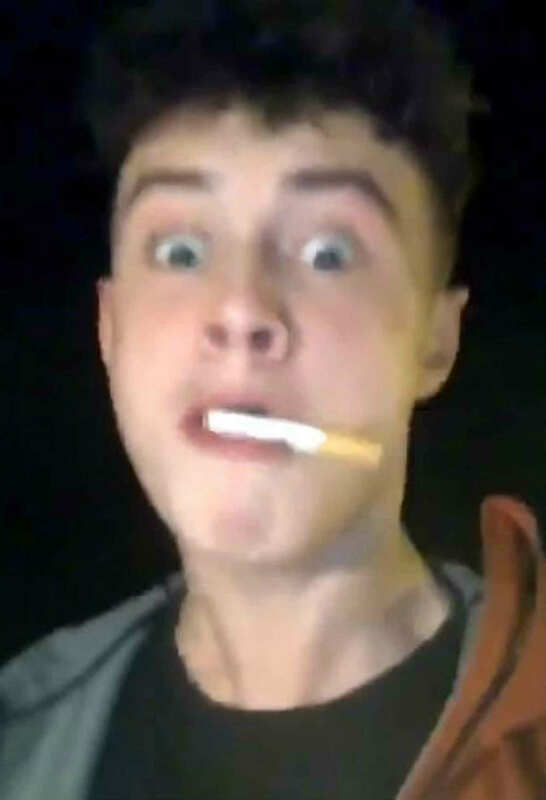 Ben McHattie, from Westhill, Aberdeenshire, filmed himself using his mouth to launch his lit cigarette into the air. The 18-year-old was able to catch it back in his mouth, but unluckily for him the wrong way round. The short clip shows Ben outside wearing an orange jacket smoking the cigarette. He then puts his head back and spits the cigarette into the air. A couple of seconds later, he is then seen catching it back in his mouth. However, soon after he realises he’s got the lit end instead, causing him to spit it back out immediately. He can be seen looking startled before the video ends. Ben’s post has racked up more than 2,700 likes with Twitter users also taking to the comments to share their thoughts.